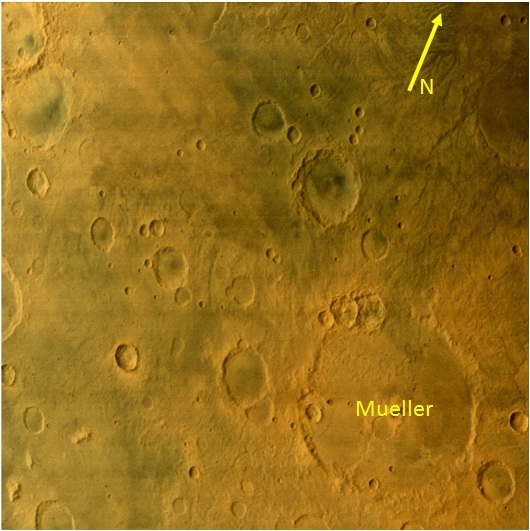 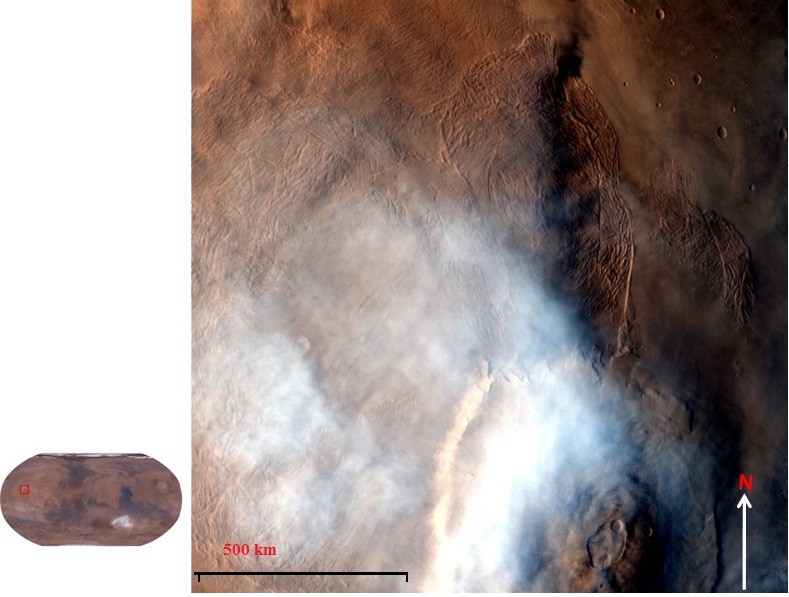 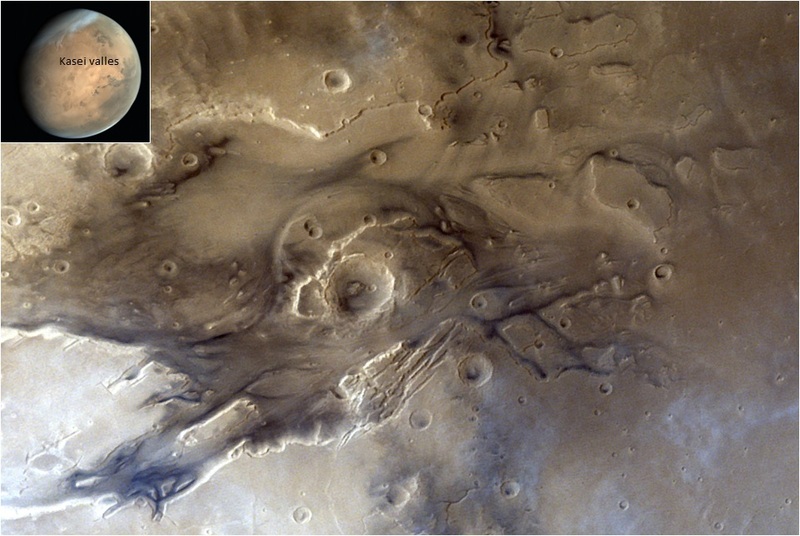 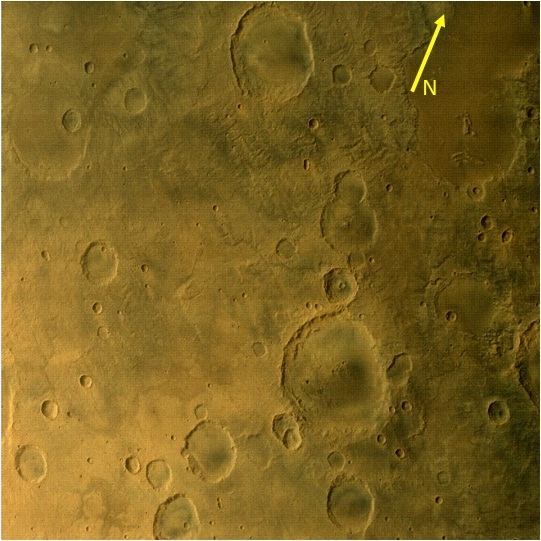 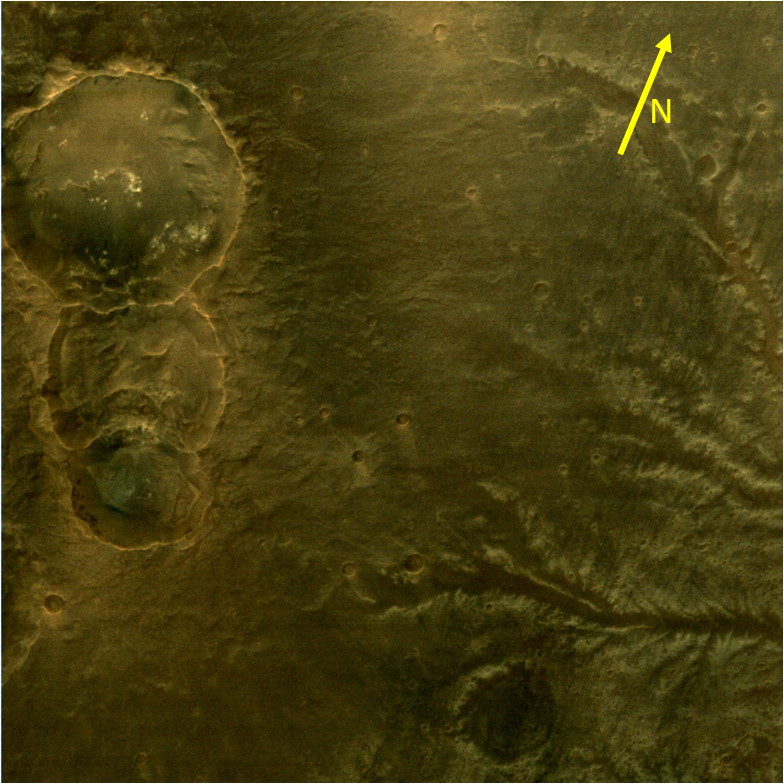 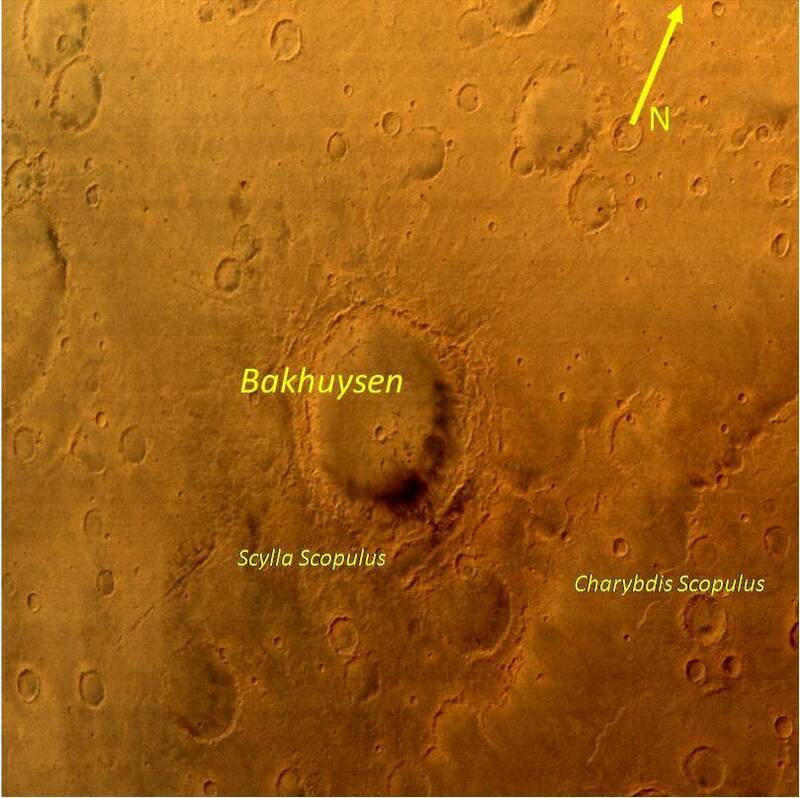 This image covers about 55 km x 55 km area with 28 m per pixel resolution in Margaritifer quadrangle of Mars. 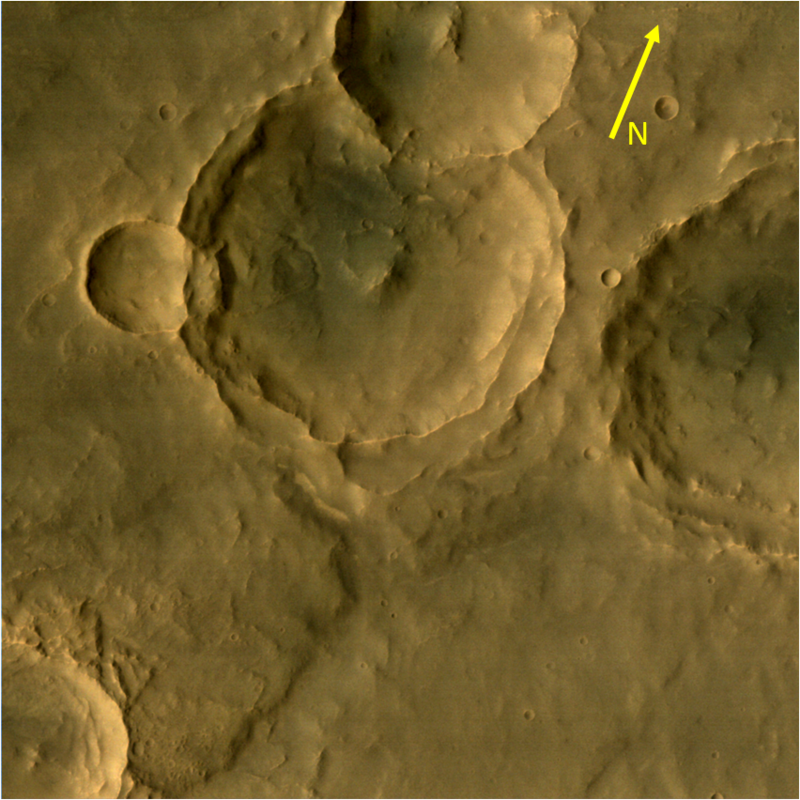 This image portrays the envelope of three linked craters outer rims. 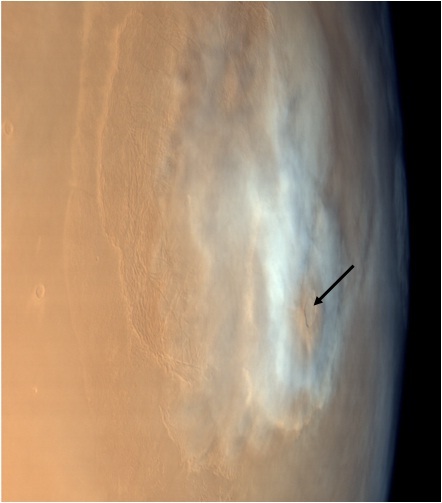 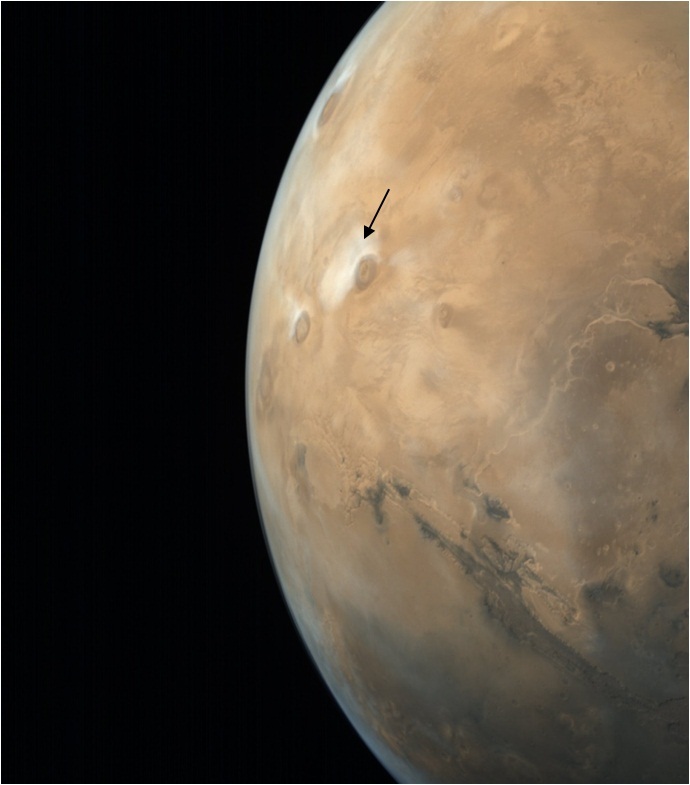 This MCC picture was taken on December 26, 2016 from an altitude of 534 km. 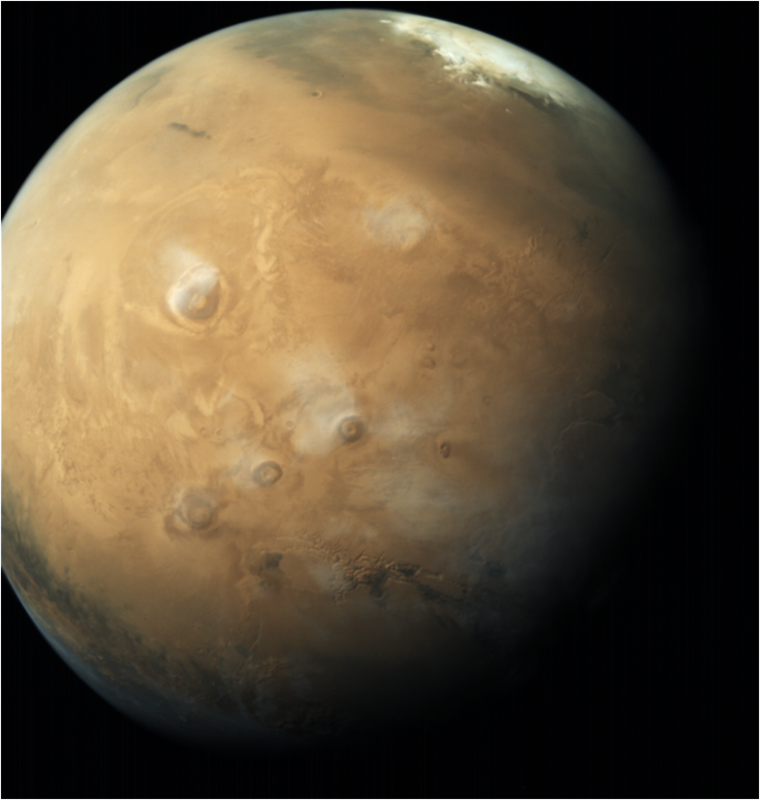 This RGB image has been color enhanced for better visual appeal.